Is The Pay It Forward System A Scam? 4 Dirty Secrets EXPOSED! First, can you actually make money with this? Second, is the Pay It Forward System a scam? When it comes to the murky underworld of making money online you should trust no-one. Seriously, it’s the wild west out there and it seems like everyone is out to swindle you out of your hard-earned cash. I’m not an affiliate of Danielle Rose’s Pay It Forward System. I only write this unbiased review to help people like you avoid scams so you can invest your time in legitimate income earners that actually work. This is being advertised as an easy way to earn money online for $1, but hidden away in the small fine print of the terms and conditions you’re told you’ll be charged an additional $18.95 five days after signing up. The sales video is full of lies and deception with manipulative sales tactics used throughout – with paid actors hired to cry on testimonial videos (yes really), fake earnings proof and false scarcity tactics, this site can not be trusted. Danielle Rose doesn’t exist and we have no idea who is actually behind this program. It doesn’t get much scammier than this folks. What Is The Pay It Forward System? Pay It Forward System’s Dirty Secrets EXPOSED! Is The Pay It Forward System A Scam? Watch the sales video and you’re hit with a never-ending onslaught of image after image showing ‘earnings proof’, dollar bills falling from the sky and people working from home in their PJs – all with dramatic background music and tension-building countdowns. I think it’s fair to say the Pay It Forward System creators (whoever they are) aren’t shy in using hyped-up sales tactics to lure people in. The video shows Danielle Rose who claims she’s a mom of three and an internet millionaire who’s looking to ‘pay it forward’ by giving away her money generating website to the first 35 lucky people who claim their spot. We’re told this kind-hearted saint will give us her income producing websites for free so we can earn $1,000’s per day for less than 20 minutes’ work. What’s $1? It’s worth it compared to the $1,000’s you could be earning, right? It’s only when you dig around in the small print of the terms and conditions that you find out you’ll be charged an additional $18.95 just five days after signing up. Danielle Rose is giving away nothing and the fact she is claiming she is is the first red flag! Why not just be upfront and tell people what the real price is outright? Once inside you’ll find links to various make money online schemes and membership sites you can sign up for more monthly fees. Danielle Rose is not paying it forward, she’s not genuinely trying to help people and this sensationalised get-rich-quick scheme is not going to give you a real, long-term way of achieving your online income goals. People who believe the hyped-up claims and hand over their hard-earned cash to learn Danielle’s money making secrets end up making… zero, zilch, nada, nothing. At least they are honest about that. Remember the member’s success story videos? Whoever created the Pay It Forward System has simply gone to Fiverr.com and hired a video spokesperson to read from a script. Not one of the viudeo testimonials are real. I’ve got to say – bravo! This girl deserves an oscar for that stellar performance! I’ve seen this video spokesperson for hire promoting scams like Ecom Cash Crusher and Greedy Mentor. Why use fake testimonials at all if your guaranteed money making system is foolproof? Because there’s only one person actually making money with the Pay It Forward System – and that’s the person selling it! Yep, that’s right – despite Danielle telling us this ‘once in a lifetime opportunity’ that’s available for ‘today only!’ the website has been up for months. We’re told once the coundown hits zero, the site’s going to get shut down forever. This so-called work from home opportunity is NOT going to appear on CNN next month – this is nothing but fake news. Clearly you can not believe a single word she says! Do you know who Danielle Rose is? This internet milionaire making us all these big promises? This is a fake name used to front a fake program. The anonymous owners are the same con artists responsible for other make money online scams like Income Engine Lite, EZ Money Team and Million Dollar Replicator. Serial scammers like this prefer to hide their true identity so when the complaints and refund requests start coming in, they can quickly shut up shop without fear of consequence and start all over again under a new website with a new namesomewhere else. Will Pay It Forward System live up to its claims? Will this get you the financial results it’s promising you? There’s no chance you’re going to make what they say you will and at no point do they even give you the smallest clue what the money making process actually is. I definitely do not recommend this program and I will lose no sleep tonight for calling Danielle Rose’s Pay It Forward System a total scam. These guys are the worst of the worst and you want to stay well away from this system and anyone promoting it. Sadly, the ‘make money online’ space is full of get rich quick schemes like the Pay It Forward System that promise you the earth, but end up leaving you high and dry with nothing to show for the time and money you’ve wasted. Scams like this are here today and gone tomorrow. If you’re serious about earning a real income online then you need to check out this beginner’s training course that’s been showing people how to build profitable and successful online businesses since 2005. They’ll show you how to get started for free so you don’t even need to get your wallet out. Are you sick of being scammed, or almost being scammed by hyped-up products like Pay It Forward System? Have you tried so-called make money online programs and ended up disappointed or even worse off than when you started? Scroll down and send me a message in the comments. I’ll be more than happy to help anyway I can. A company called Insiderincomeclub took $18.99 from my bank account 3/30/19. Couldnt Google them. I went back and found the original $1 I paid Danielle Rosefor Paying it forward was withdrawn from my account with the same name. No way to contact them to get my money back.There is also no way to contact Danielle Rose to get a refund. Guess I’m screwed. I’m really sorry to hear this Billye, these guys can’t be trusted. Probably hidden in the fine print somewhere is a monthly or yearly membership plan? You might want to contact your bank and let them know, they might advise you to cancel your credit card and get a new one issued to avoid further payments being taken out of your account. 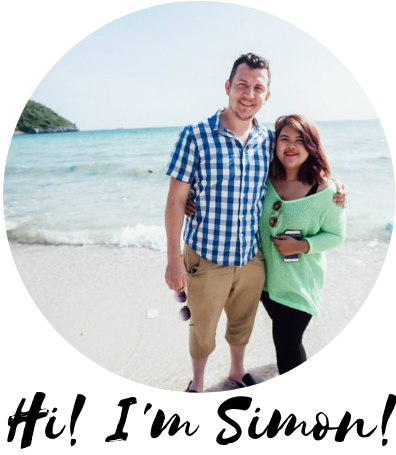 Hi Simon: Thanks for the post about the Pay it Forward System. I appreciate your honest review! I was looking for a way to make money online a few years ago and tried a few of these get rich quick schemes myself and quickly discovered that there are no overnight success stories except for the people who make up these bogus scams. I became so discouraged that I quit trying for a few years. Then when I decided to try again, I had learned some things and knew what to look out for and about that time I discovered Wealthy Affiliate. Right away I was attracted to their marketing strategy, because it makes sense. We have to put in the work! Do you know if there is any way for us to put those predators out of business, any legal groups or law enforcement going after them? Thanks again Simon for your honest review! I’m glad you found this review helpful Chuck and it’s great hear about your experience with Wealthy Affiliate. They are definitely a legit platform. I set up this blog to try and do just that… if people know what scam signs to watch out for then running internet scams becomes less profitable. There are a few different ways to shut scams down – you can report them to the FTC or Better Business Bureau for a start. Read: How To Report A Work From Scam for more details.